crafty goodies: Pinky's Class with Avocado Arts~don't want to miss this!!! Pinky's Class with Avocado Arts~don't want to miss this!!! So you LOVE stamping and make beautiful cards but want to use stamps in your scrapbooking too? This class is perfect for you! Take your stamps one step further! 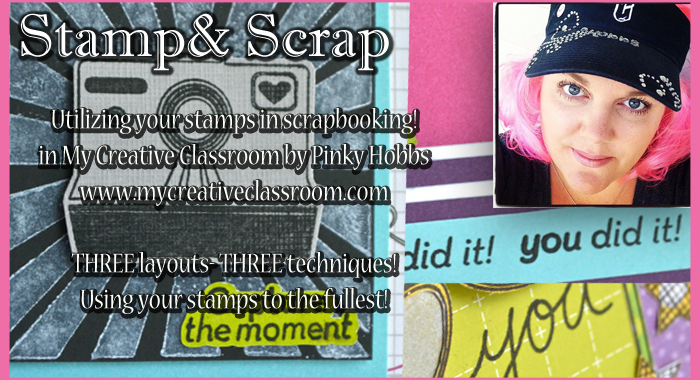 Pinky will share 3 different techniques she uses for stamping- Pinky works with Stamp companies such as Avocado Arts & Viva Las VegaStamps so she knows how to stretch a stamp! 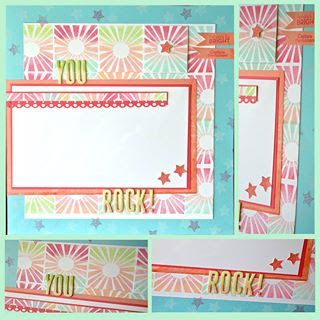 In this class you will learn how to create 3 separate layouts each layout will use a different stamping technique. 3 full videos plus printable PDF files of course! This is the very cool stamp set you will be creating with~one of my favorite by Avocado Arts. And here is one of the layouts you will be creating in the class. Pinky is an Avocado Arts Pit Crew Member and a VERY talented paper crafter. You can find out all the details HERE. The class starts June 26. Cost is $19. Check it out~you won't want to miss this!!!! Pinky always Rocks the House. 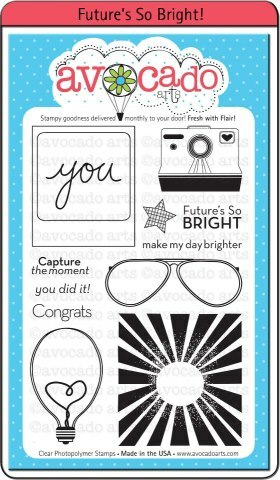 Fab stamp set! Yay for Pinky too. oooooo and ahhhhh love them both. Have a great weekend!